SPRINGFIELD, IL. (August 29, 2017) – The 2017 NHRA Countdown to the Championship is slated to kick off in just a couple of weeks, but first, drivers in the Mello Yello Drag Racing Series will have one final race to vie for their spot in the chase for the big trophy. This weekend's NHRA U.S. Nationals will mark the end of the regular season, and Levi, Ray & Shoup Ford Shelby Mustang Funny Car driver Tim Wilkerson intends to make the most of the opportunity on the 20th anniversary of his very first nitro Funny Car final round. Just a year after making his nitro debut, Wilkerson wheeled his way to the final round for the first time, and he did it at what many consider the most revered event on the NHRA tour: the U.S. Nationals in Indianapolis. The year was 1997, and Whit Bazemore got the trophy that day at Lucas Oil Raceway, but it marked the beginning of a career that so far includes 20 wins in 39 final rounds. Wilk finally got an Indy win of his own in 2003 with a final-round defeat of Johnny Gray. His most recent Indy final was in 2012, where Mike Neff got the nod. "I've been racing at Indy for a whole bunch of years. Heck, I used to bracket race here in the 80s," said Wilkerson, who made his nitro debut in Gainesville in 1996 but was a successful Top Alcohol Funny Car pilot in the years prior. "It's a neat race, and the reward is bigger in more ways than one. The paycheck is bigger, but it isn't just about the money – a win this weekend would go a long way for our team. It would be a nice boost of morale going into the Countdown to the Championship." 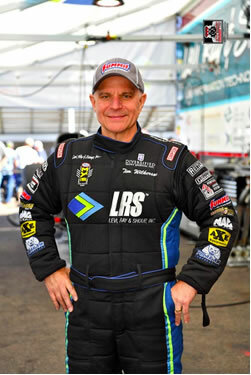 Wilkerson knows the value of success at the most historic event on the NHRA tour. The prestige of an Indy title is complemented by increased point-value. Each mark is increased to one-and-a-half times its typical worth, with maximum points of 195 available to one driver in each Pro category. "We're in a good position going into this race, because we're No. 8 in the points," said Wilkerson, who has reached two final rounds to date for 2017 and has one low qualifier award for the season on his scorecard. "We would really have to mess up to not make the Countdown, so right now we're fighting to get the highest position possible. Those 10 points may mean something at the end of the year, and we really need to do well and make sure we're positioning ourselves the best we can for those last six races."